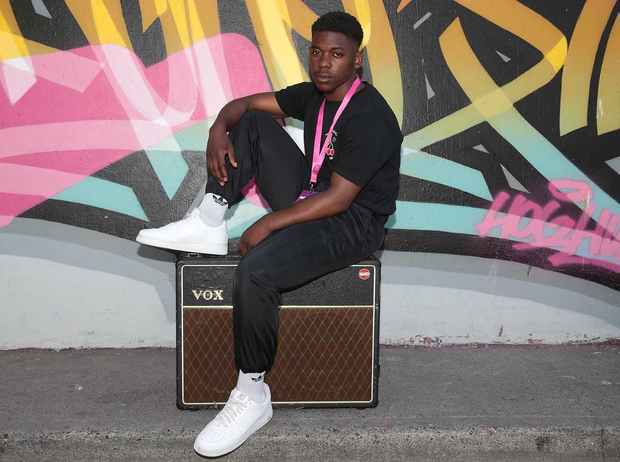 Ireland’s thriving underground urban music scene is finally breaking through to the mainstream and Dublin hip hop artist Jafaris is one of the rising talents poised to make that leap. 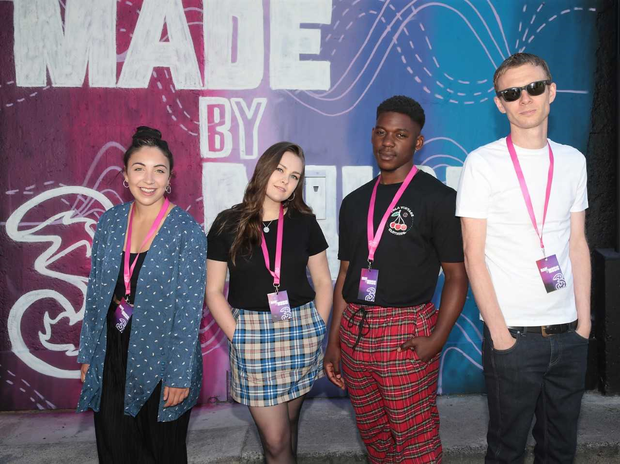 He has also just been chosen alongside Saint Sister and Kormac for Three Ireland’s Made by Music campaign, which is creating visually arresting music videos for songs about connection. The first video, released today, is for Jafaris’ powerful If You Love Me. Shot by New York based Irish director Shane Griffen it’s a visually stunning tale of a relationship through time. For Jafaris, the campaign shines a light on him at a time when he’s ready to step up. “The fact that Three are even recognising my music is mind-blowing to me,” the modest star tells Independent.ie. “I feel like I’m pushing towards breaking through right now. 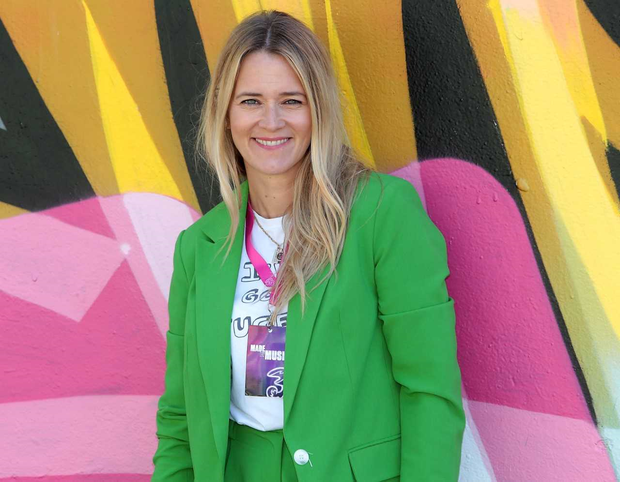 Edith Bowman jetted in to Dublin to launch the campaign. The former MTV presenter and BBC Radio 1 DJ said it was an easy 'yes' to get involved. "There's so many things that are a big thumbs up for this," she says. "It's a big brand like Three getting involved in something that's giving these new artists, that are very different genres of music, a chance, a platform, promotion, support to get their music heard. "It's really easy for bands and artists to make and release music now. You don't need to rely on a record company and radio play but to be heard and to have longevity, to have a future, you do need support from somewhere so I think it's a fantastic initiative." For Jafaris, it's a sign Ireland is starting to pay attention to artists like them. Having released his four track EP Velvet Cake to rave reviews in April last year, he’s gearing up to release his debut album - independently - in October. Releasing music independently is no easy feat, but Jafaris says he’s content to do so right now. “There’s always pros and cons but I’m very very happy being independent at the moment,” he says. “Just doing research on how labels work and knowing people who are with labels I feel this is a more organic way, more authentic, and it helps me build a fan base from scratch rather than just being out in people’s faces you know? Jafaris, whose real name is Percy Cahmburuka, is originally from Zimbabwe but moved to Dublin when he was six and says “Dublin is definitely now home”. He was a rather mature 15 before he started paying attention to music, singing, and writing. Dance had always been his passion and he was on course for a career as a dancer. “Dance was where my heart was from when I was ten,” he says. “I always really wanted to be a dancer. I really took it seriously, but music found me. Jafaris is one of several up-and-coming artists (Soulé and Hare Squead are just two others) who have teamed up with Diffusion Lab, a Dublin based production and artist development collective focusing on Neo Soul, RnB, and hip hop. Although he counts Kendrick Lamar and J Cole among his influences, he says he also listens to Saba and a lot of Neo Soul from Jill Scott to Eryka Badu. Live performance is where he really shines – he has natural stage presence, perhaps thanks to his dance background, but he’s a popular addition to the line-ups for Longitude in Marlay Park this month and Electric Picnic in September. While his focus is very much on music right now, Jafaris also has his sights on an acting career having previously flexed his acting muscle with a role in John Carney’s 2016 hit Sing Street. It came about by chance. Jafaris was auditioning to be a backing dancer for a UK artist and wrote that he was also an actor on the form. He was asked to audition for the movie and did so for John Carney and received a phone call on his way home to say he had bagged it. “It was crazy, because somebody already had the part and it was a friend of mine so I felt so bad that I took the spot from him but at the same time happy that I got the role,” he reveals. Three Ireland's #MadeByMusic will unveil further videos for songs by Saint Sister and Kormac later this summer.